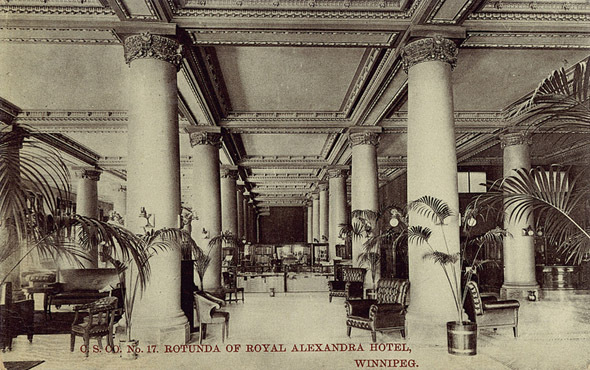 The 18th and most luxurious of the Canadian Pacific Railway’s hotels, the Royal Alex closed in 1967 and was demolished in 1971. 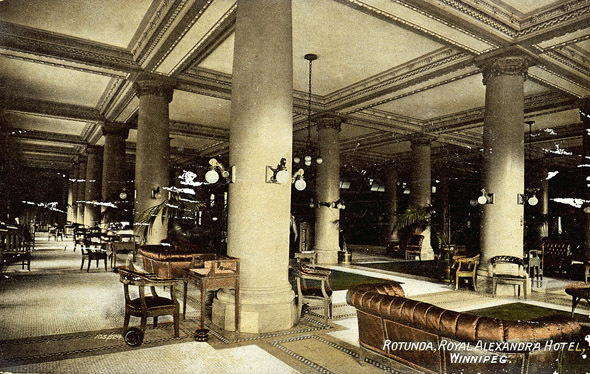 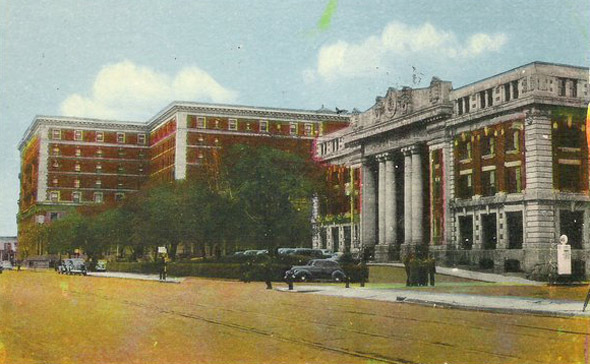 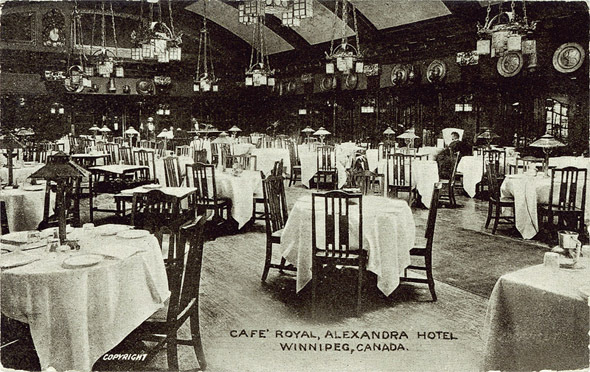 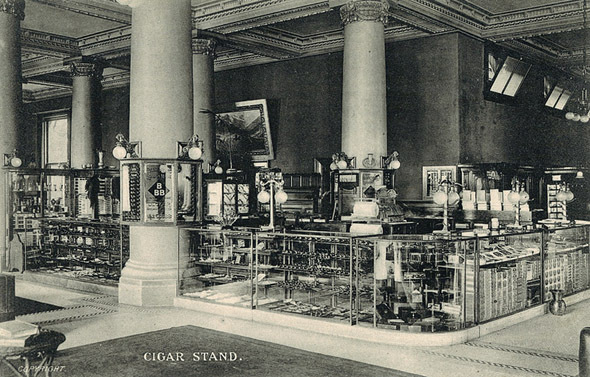 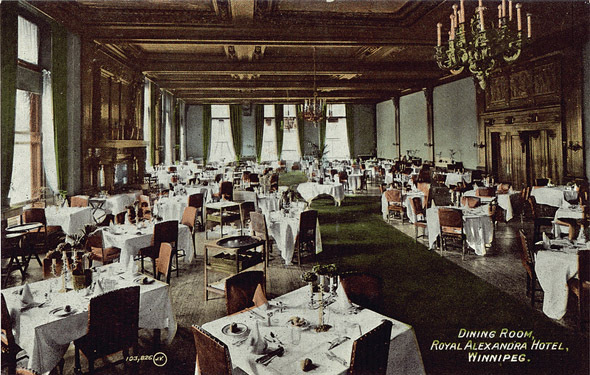 For many years, its ornate interior were the social hub of Winnipeg. 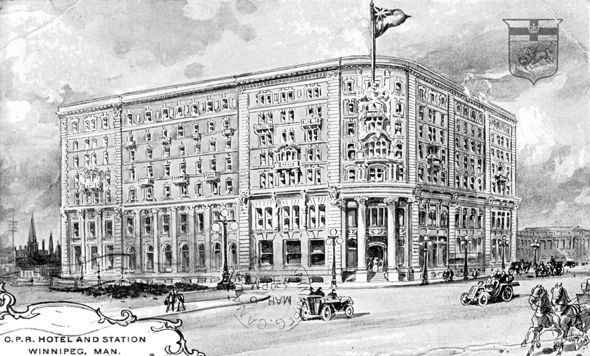 However like many large hotels, it was unable to adapt to changing fashions in travel and the decline in well-heeled rail passengers and closed. 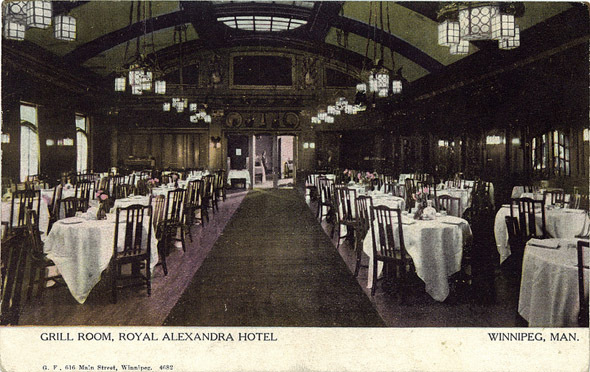 Fittings from the building including the Grill Room were saved prior to demolition.